The National Union of Journalists has criticised a £1.5m pay package awarded to Newsquest chief executive Henry Faure Walker, which comes after newsroom staff were told they wouldn't be getting a pay rise for a ninth successive year. 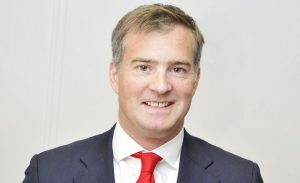 Faure Walker, who joined Newsquest from Johnston Press in April 2014, was paid a total of $1,718,503 in salary, cash and share bonuses, pension, health and life insurance in 2015 – including $9,000 (£8,000) for his company car, according to figures filed with the American Securities & Exchange Commission (SEC). And just weeks ago, he was awarded a further $205,000 (£170,000) in shares by US parent company Gannett Inc. The information came to light at the same time as Newsquest staff, who have not have an across-the-board pay increase in the past nine years, were told by the company that it was "not in a position to offer an increase in 2017”. A statement released by the Newsquest NUJ Group Chapel said its members would be "livid" by the contrast between their position and that of the chief executive. It said: “We always knew that the chief executive enjoyed a very large pay packet, but this is the first time all the luxury trimmings have been fully revealed. Our members will be livid to hear this news while being expected to pull in their belts yet another notch and endure yet another another pay freeze, when they are already on poverty pay and inflation looks set to rise. But a spokesman for Newsquest labelled the NUJ's claims 'nonsense'. "The NUJ have again got their facts entirely wrong," the spokesman told Prolific North. " For the record, Mr Faure Walker’s salary is £310k (not £400k as the NUJ claim) and he was paid a 2015 bonus of £230k (not £297k as the NUJ claim). Newsquest's Northern titles include the Warrington Guardian, Wirral Globe, The Press in York and the Telegraph & Argus in Bradford. Yesterday we reported how staff on the Northwich Guardian were calling on the publisher to retain a base in the town, a week after they were moved 15 miles away to the offices of the Warrington Guardian.